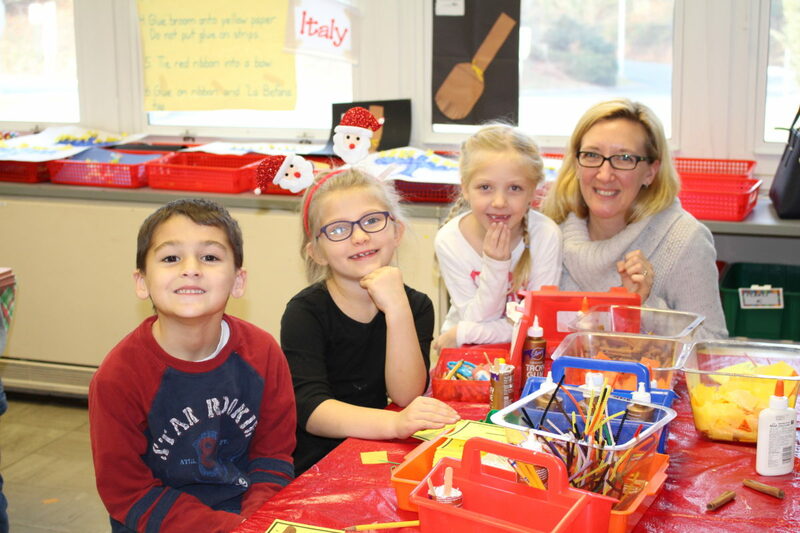 First grade students at Miller Place School District’s Andrew Muller Primary School recently participated in the District’s annual Holidays Around the World event, during which they made arts and crafts projects to celebrate the different holiday traditions from countries around the globe. 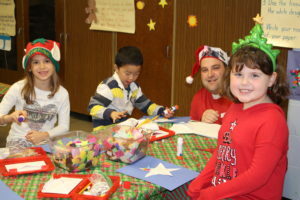 As part of the event, teachers set up stations that each represented a different country so students could learn about their individual holiday customs. The countries included Sweden, England, Italy, Mexico, Israel, Germany, France and more. The initiative is part of the Miller Place School District’s ongoing mission to celebrate diversity and give students a better understanding of the lifestyles, backgrounds and traditions of nations around the world.